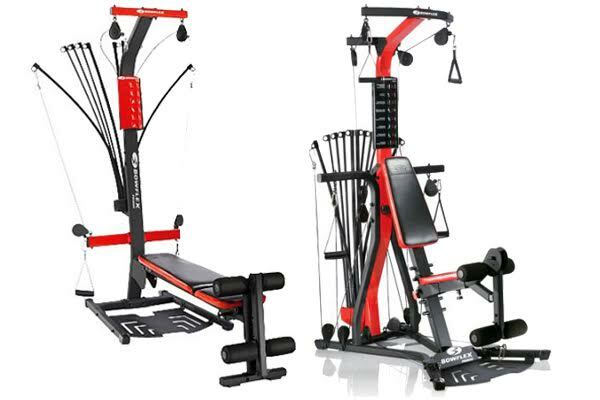 Both the Bowflex PR1000 and Bowflex PR3000 are high quality, well-built and versatile Home Gyms, offering a great variety of strength exercises, enabling you to strengthen the muscles in your abs, arms, chest, back, shoulders, and legs. If some similar things already featured on both machines, then what things that make them different? Well said, the difference will be existed on the following below through the article with title Bowflex PR1000 vs Bowflex PR3000. Read the carefully! Find your best gym machine in Bowflex PR3000 with a lot of features such as 5 until 210 pounds of resistance you can do over 50+ exercises. Inside the machine, that includes vertical bench and lat pulldown. It is built-in roller cushions for lower body exercises. It has maximum weight over 300 pounds and requires minimum 100 x 78 inch workout space. But, it does not require pulley cable changes. If you’re serious about strength training and want a home gym that gives you the variety you crave, the PR3000 may be a good match for you. As one of the most advanced models in the Bowflex lineup, there are many advantages to choosing this home gym. The PR3000 is like the big brother of the PR1000. It’s more advanced, and it offers more versatility. With more strength training exercises and a larger footprint, this model is designed for serious users. We will absolutely recommend this upcoming product especially for you who have not purchased any kind of Bowflex product, but if you already have the old one from PR1000, it is not unnecessary thing, means that it still works well on you and your exercises.